Indonesia offers some amazing surf destinations, and the jewel in the crown is undoubtedly the Mentawai Islands, an archipelago off the west coast of Sumatra in Northern Indonesia which stretches 360km from end to end, from NW to SE. The true Mentawai people, historically cut off from the rest of the world by the Mentawai Straight, have a fascinating culture, and to this day in central Siberut (only a very short distance as the crow flies from where you will be staying), there are people that still live traditional lives in the interior of the huge island, experts in all elements of the Mentawai jungle. There are four main islands, Siberut, Sipora, North Pagai and South Pagai, and many smaller islets scattered throughout the region. For surfers, these islands have the perfect combination of a huge swell window (pretty much the whole of the Indian Ocean), and dozens of perfectly shaped surfing reefs. 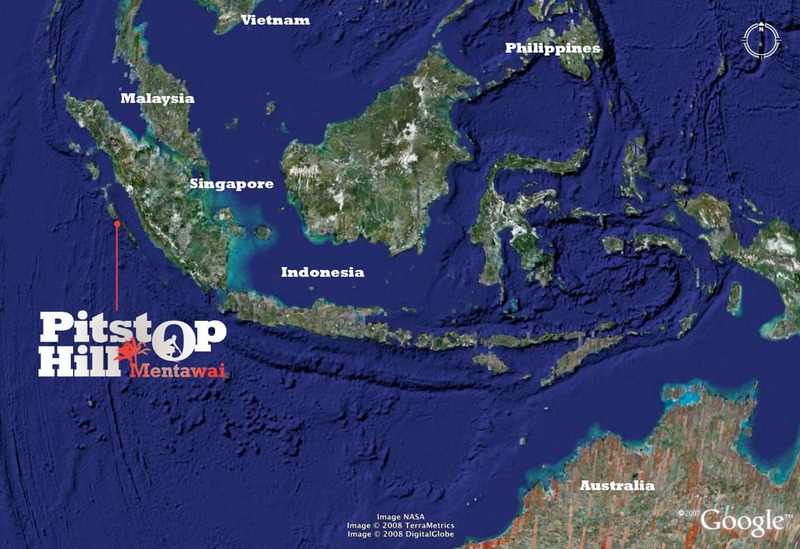 Close proximity to the Equator means that unlike other parts of Indonesia where seasonal trade winds tend to blow from one direction, the winds in the Mentawai are generally lighter, and more often than not will change direction several times in one day. Nyang Nyang is one of the five main islands that make up the Southern Siberut, or Playgrounds, region of the Mentawai. The Playground lies around 130km south west of the Sumatran mainland and less than 2 degrees below the equator. Even though it’s only about five kilometres long, our island boasts five incredible surf breaks ranging from the friendly and super-consistent Beng-Bengs and Nipussi, to the fun-park of Pitstops, to the more challenging world-class barrels of Bankvaults and E-Bay. From here, within half an hour in one of our speedboats, we can get you to over twenty named breaks, and many others too. As these breaks are scattered around Nyang Nyang and the neighbouring islands, our guides can take you to a break for all wind and swell directions, and for all abilities. There’s no need to ever surf in onshore conditions in this region. Somewhere is always clean. Approaching the island, all you can see is jungle green and Indian Ocean blue. Once on shore, come up the steps to find the surf resort we’ve carved out of our idyllic hilltop location. Look down from the front lawn and you will see the Pitstops cove with the zippy right-hander and it’s adjacent swimming beach. A couple of hundred metres to your right is where the perfect left-handers of E-Bay should be spinning away down the line. The resort faces west so not only do you get a great view of the waves, but also of the sun setting over Siberut Island beyond. There’s a network of jungle paths criss-crossing the island, and you’re welcome to go exploring, meet the friendly Mentawai locals and discover our fascinating wildlife (some animals on this island aren’t even found on the islands next door), colourful birdlife and an island divided between coconut palm plantations, and tropical jungle.